Is it funny or inappropriate? 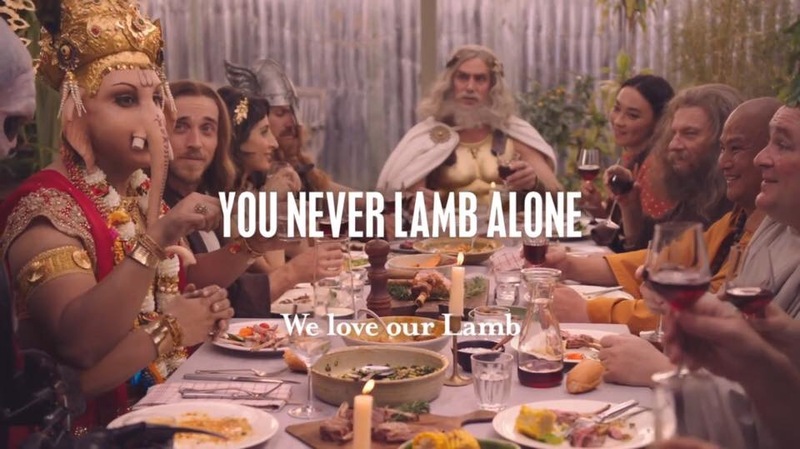 Meat and Livestock Australia (MLA) has published an advertisement Video, which has Gods from various religions, including Lord Ganesh from Hinduism. Defenders of the video have pointed that it is clearly a satire and humorous, but others disagree. While many Hindu Australians have found the depiction of Lord Ganesh in this Video inappropriate and offensive for a variety of reasons including the fact the Lord Ganesh is not known to be associated with meat and alcohol, there are some who found it be funny, but without any sense of offence. Yet some others have pointed out that MLA has not been fair or balanced, or even brave enough, as they did not include religious figures from Islam, apart from a casual mention of their Prophet. Lord Ganesh is a revered deity of Hinduism. Only a few days ago, Hindu Australians, just like Indians all over the world, celebrated “Ganesh Chaturthi” enthusiastically and in big numbers. MLA’s agenda is quite clear. They wanted to create a controversy to generate publicity, and they have achieved their goal. If I was the one who made the decision to have this video, I wouldn’t have done it or agreed with it. I don’t see much merit in hurting people’s sentiments without much reason or basis. This entry was posted in Dr Yadu Singh, Federation of Indian Associations of NSW, Meat and Livestock Australia, Meat and Livestock Australia Ganesh Video and tagged Dr Yadu Singh, Federation of Indian Associations of NSW, Meat and Livestock Australia, Meat and Livestock Australia Video with Lord Ganesh. Bookmark the permalink. This video shows the stupid and ridiculous mentality of these people who make the advertisements either without proper research, or intentionaly to insult the major community of Australia. And they will have to remove this add and apologize for the same. We should strongly oppose such companies and in future if they act like this should be taken to court for their stupid act.